Back in 1993, long before he took us on a mystical journey through Pan's Labyrinth, introduced a wider audience to the world of Hellboy or brought his vision of massive Jaeger vs. Kaiju battles to the big screen in Pacific Rim, Guillermo del Toro released his debut feature film Cronos, a wonderfully unique take on a vampire tale, and thank goodness for that unique factor because honestly, I'm just about vampire'd out at this point. My relationship with the sub-genre was tedious at best to begin with, and with the popularity that was ushered in from the True Blood series and Twilight franchise I had officially pushed anything involving a vampire off to the side into a category called "Not Interested". Last year Jim Jarmusch and his wonderfully deadpan comedic stylings brought the solid film Only Lovers Left Alive to the table and I appreciated its very interesting take on just how boring it could be to live forever, but rather than a potential revival of my interests it felt like an anomaly. Thus I knew it may be a challenge to approach Cronos with an open mind, but I reminded myself of two things: Guillermo del Toro has earned enough of my admiration to be worthy of my trust that if anyone could make me entertained by vampires again, it would be him, and that this is a film released over 20 years ago, not just another lazy effort to catch on to a fad before it is exhausted from overkill. GDT delivered. 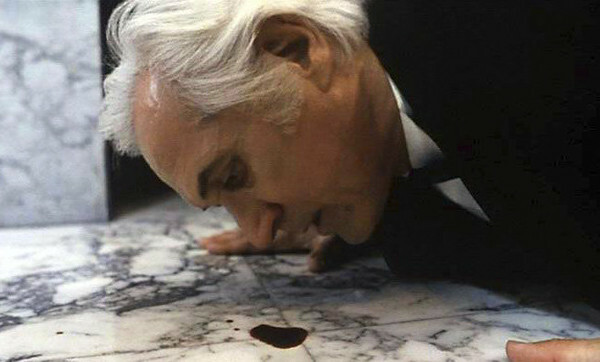 Cronos is a clever, entertaining gem. The film tells the story of a man named Jesús Cris, an antiques dealer who happens to find a device inside an old wooden statue of an archangel. Jesús somehow accidentally activates this object and it grabs hold of his hand, doing all sorts of damage by the time he is free of it. Soon after the cravings begin, beginning a transformation for Jesús from a mortal man to a blood thirsty vampire. I found it interesting to see del Toro making a little girl a central character of the film, much like in his crowning cinematic achievement Pan's Labyrinth. He has publicly mentioned his deep love for the masterpiece The Spirit of the Beehive by Victor Erice and I could feel the influences here again, this time in the shape of Jesús' granddaughter Aurora. Her presence adds an important component to the story, that piece of emotional attached Jesús still has to the mortal world, and his continuing desire to protect her despite his transformation keeps his character feeling rather human despite the fact that his physical appearance indicates otherwise. 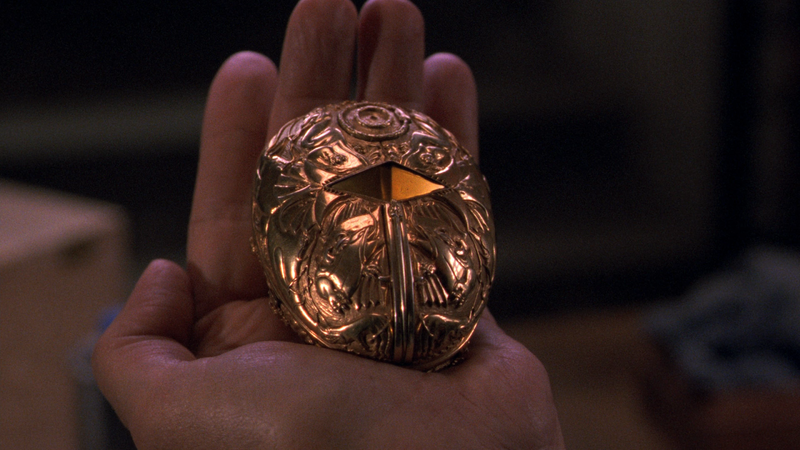 As a directorial debut from Guillermo del Toro, Cronos is a pretty great work, a film that really makes you wonder if immortality is all it's cracked up to be.